True to its name, this Seoul travel guide covers all the region's major sights and attractions in easy-to-use top 10 lists that help you plan the vacation that's right for you. This newly updated pocket travel guide for Seoul will lead you straight to the best attractions this city has to offer, from Changdeokgung to shopping to museums to parks. 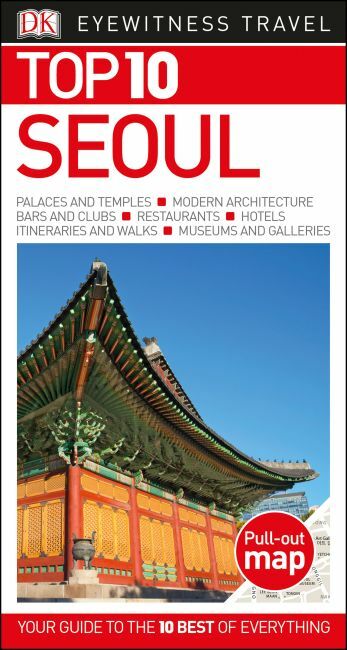 Expert travel writers have fully revised this edition of DK Eyewitness Travel Guide: Top 10 Seoul. + Brand-new itineraries help you plan your trip to Seoul. The perfect pocket-size travel companion: DK Eyewitness Travel Guide: Top 10 Seoul.